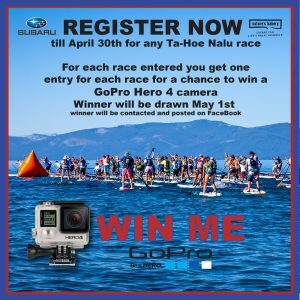 Register for the 2015 Subaru Ta-Hoe Nalu now through April 30th! Not only save money, but every registration will be entered for a chance to win a GoPro 4 camera! Winner will be announced and contacted May 1st via Facebook and other social media.